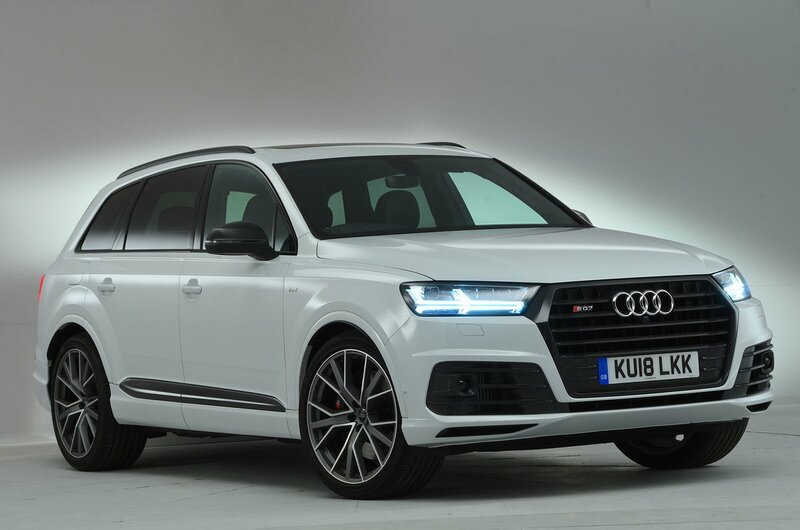 Audi SQ7 Performance, Engine, Ride, Handling | What Car? Thumb the starter button and the big V8 under the bonnet rumbles into life with a potent thrum, which can be turned up to a throatier woofle if you switch the drive mode selector to Dynamic and activate the sports exhaust. Snick the stubby gear selector into drive, bury your foot to the floor and the engine’s immense forward thrust is akin to surfing a tsunami wave. There’s certainly the out-and-out pace to see off the diesel BMW X5 M50d, although the petrol-powered Porsche Cayenne Turbo is even quicker. The engine’s response is nigh on instantaneous and the delivery thereafter is linear and predictable. 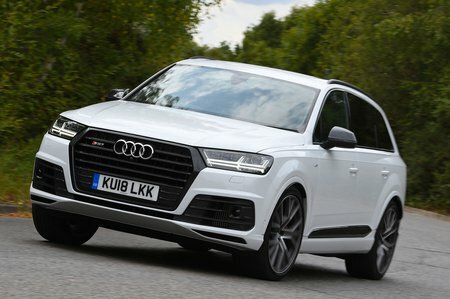 This means the SQ7 is an extremely relaxing car to drive at normal road speeds, with plenty in hand to keep up with motorway traffic without even breaking into a sweat. Sit at a steady 70mph and there is a little more roar from the fat tyres than you’d hear in a standard Q7, but the car supresses tyre and wind noise incredibly well – better than the X5 M50d and Cayenne. The eight-speed automatic gearbox is another positive, slipping smoothly up and down its ratios as required, and even decoupling the engine when you lift off at speed – primarily to benefit fuel economy. When fitted with optional active anti-roll bars, this tall-sided, 2.3-tonne chunk of Audi is remarkably agile. It's still a huge car, so you certainly sense its heft as you steer left then right through an S-bend, but the way it grips is both uncanny and astonishing. The only similar-sized SUV that corners better is the Cayenne, and even then by just a whisker. Without the anti-roll bars fitted, the SQ7 still handles very tidily but there is noticeably more body lean through fast corners. As part of the optional Dynamic Pack (which includes the anti-roll bars), you also get four-wheel steering. This turns the rear wheels in the same direction to the front ones at speed, boosting the SQ7’s stability on faster roads. However, at slow speeds the rear wheels turn in the opposite direction, helping the big car turn in to tighter corners with the enthusiastic character of a family hatchback. The steering itself is nicely weighted to give you confidence in what the front wheels are up to, although you get more feedback in a Cayenne. When you pop the suspension into its softest Comfort setting, ride quality is as good as it gets in a super-fast SUV. 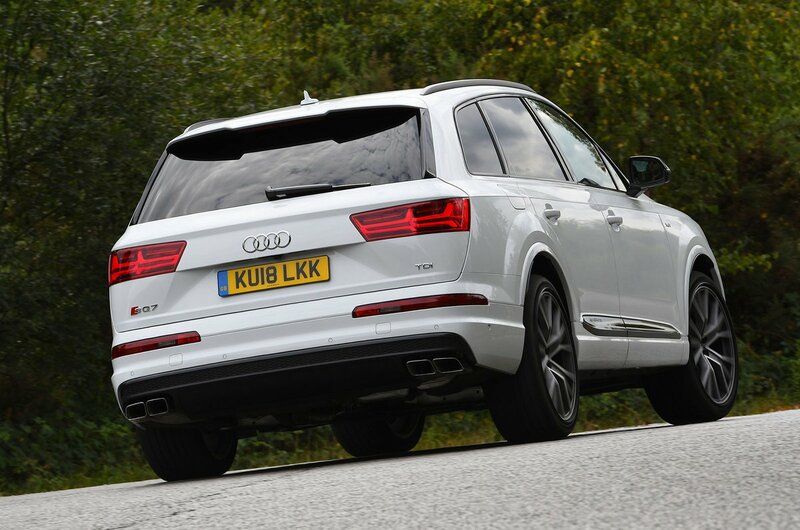 Yes, the regular Q7 is even more supple, but the SQ7 still breezes over all manner of lumps and bumps, thanks to its standard air suspension. Even the Vorsprung model, which comes with whopping 22in alloy wheels as standard, is remarkably comfortable.